CBD is impacting the natural health market in a positive way. As more studies confirm CBD’s role in pain management, more people are turning to this natural supplement as a potential remedy to migraine. Migraine is a common ailment, triggered by a list of stimuli, including diet, changes in weather and pressure, and medication. Unfortunately, there is no cure for migraine, however lifestyle changes and medications can relieve some of its symptoms. CBD Tincture, also called CBD Oil, may reduce the debilitating pain associated with migraine headaches. Migraines are recurring, severe headaches that can last anywhere from hours to days, often accompanied by nausea, vomiting, and sensitivity to light and sound. Those who suffer from migraines can experience them rarely or constantly. Some common causes of migraines are stress, hormonal changes and genetic factors. Preventative measures like regular exercise, consistent sleep and meal schedules, and desensitization of triggering stimuli, can reduce the occurrence of migraine headaches, but treatment often includes medication with draining or adverse side effects. 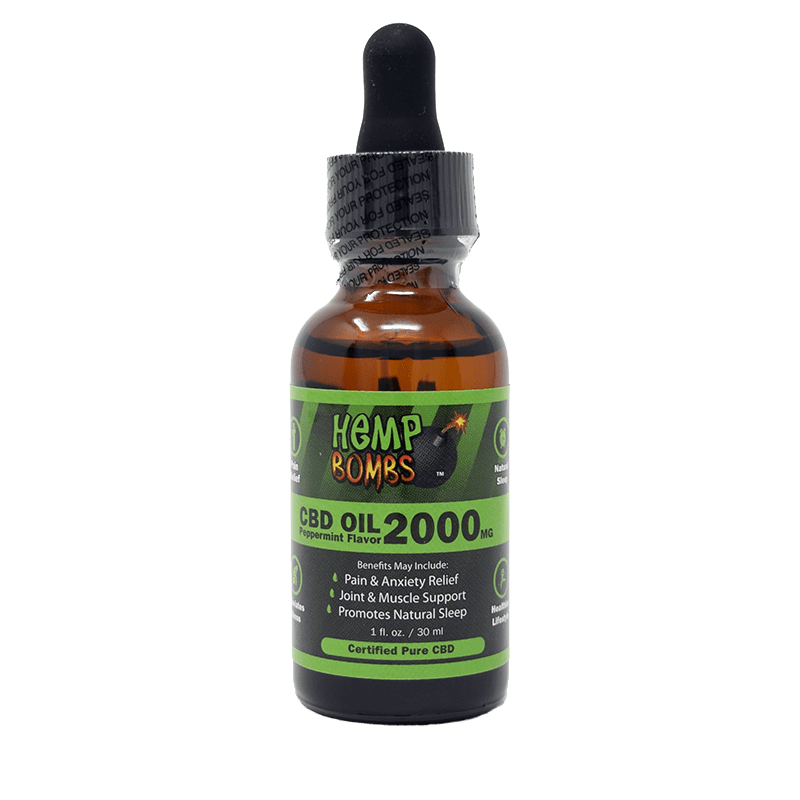 What Is CBD Tincture For Migraines? Cannabidiol (CBD) is a natural compound present in both Hemp and Marijuana plants. Hemp plants contain high concentrations of CBD, but only trace amounts of Tetrahydrocannabinol (THC), the compound in Marijuana that produces psychoactive effects. In contrast, Marijuana plants have less CBD and up to 35 percent THC. At Hemp Bombs, we extract our CBD from superior-grade Industrial Hemp plants using a CO2 extraction method, which allows us to isolate CBD from Hemp compounds. Our CBD isolate is 99 percent pure and free of THC, making our products non-psychoactive and federally legal. CBD Tincture for Migraines, or CBD Oil, is a combination of CBD isolate, MCT Oil and Grape Seed Oil. It is taken sublingually, or under the tongue, because the tissues in this area allow for more thorough absorption. The neuroprotective and neurogenic effects of CBD Tincture may help manage the nerve signals that influence migraines. CBD Tincture has the potential to reduce stress, a common cause of migraines, which could increase quality of life for migraine sufferers. 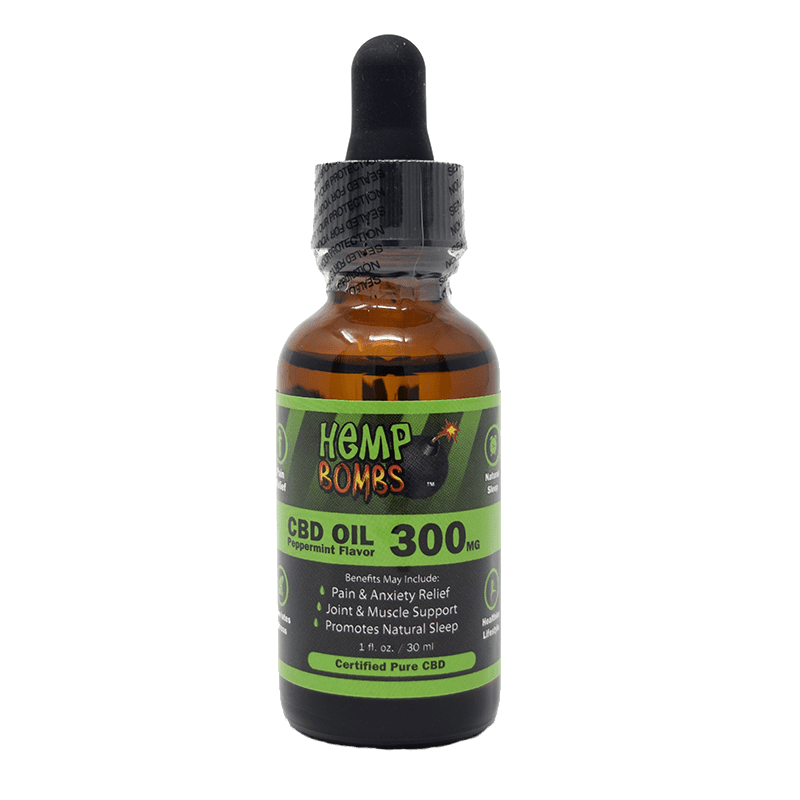 How Does CBD Tincture For Migraines Work? CBD Tincture is effective because of its interaction with the Endocannabinoid System (ECS). The ECS is comprised of receptors located in the brain, spinal cord, peripheral nervous system, and GI tract and endocannabinoids naturally created by the body. It helps maintain homeostasis, manage pain and regulate mood. Plant-derived endocannabinoids like CBD can impact ECS function. Migraine headaches are triggered by low levels of anandamide. When CBD enters the system, it interacts with different molecules to encourage the accumulation of anandamide, a “bliss” molecule. By encouraging high levels of anandamide, CBD Tincture for migraines may help reduce migraine attacks. Because CBD works with the natural compounds in your body, it is becoming a leader in natural health. CBD Tincture may also address other factors that cause migraines, like stress. CBD Tincture has long lasting effects that promote overall relaxation. Incorporating this natural supplement into your daily regimen may lower your stress levels in the long run, which could lead to a reduction in migraines. 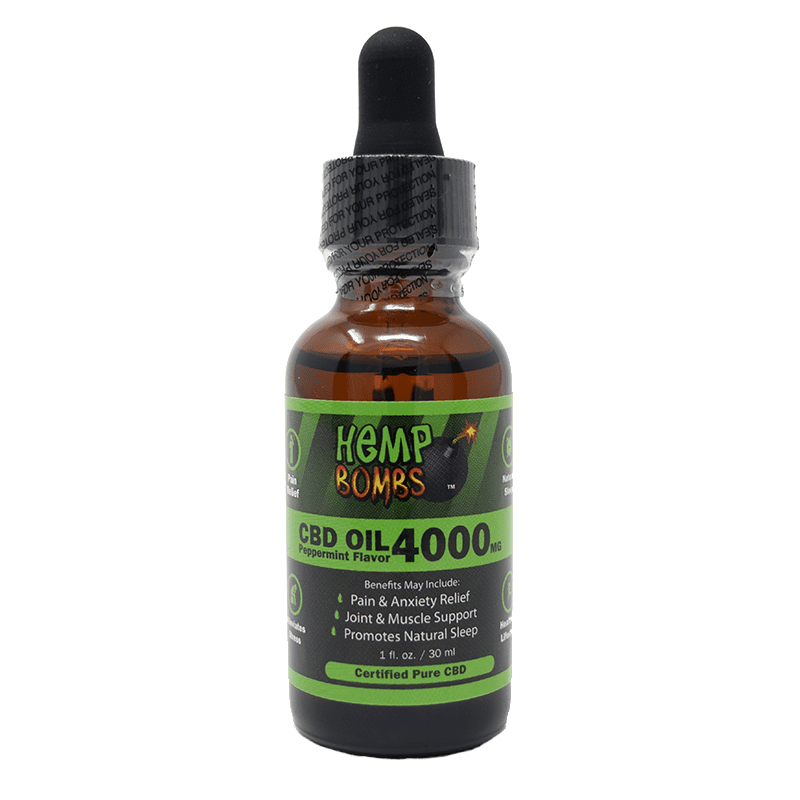 How Do I Take CBD Tincture For Migraines? CBD Tincture for migraines works best when it’s taken sublingually and held under the tongue for at least 15 seconds. This allows your body to absorb CBD more quickly than it would if swallowed immediately. If you are just starting CBD, start slowly with 15 to 30 milligrams. After you know how it affects you, adjust your dosage accordingly. Try changing your intake slowly rather than increasing it all at once. This method will give you a better idea of how much CBD Tincture you need to see your desired results. Factors like gender, physical size, and your diet can affect the amount of CBD you need to achieve maximum results. If you are not seeing desired results, consider one of our higher potency products. 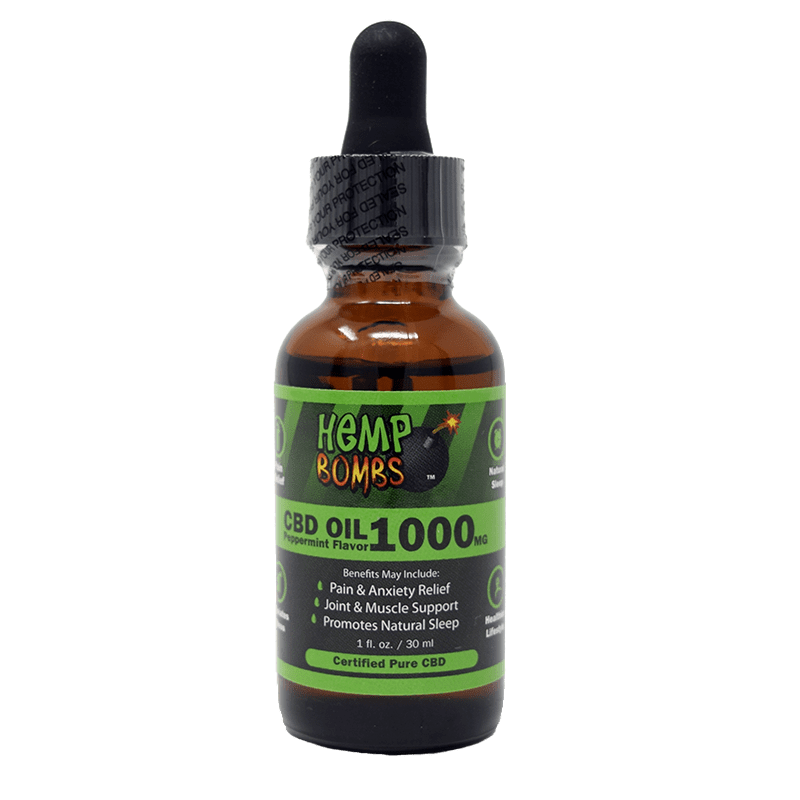 Hemp Bombs offers CBD Tincture for migraines in varying dosages to better fit your needs. As CBD becomes more prevalent, creative ways to get this natural supplement are being discovered. CBD Oil lattes are one way to incorporate this compound into your daily routine, while combatting the side effects associated with heavily caffeinated beverages – one of which, is migraine. More people are turning to CBD Tincture for migraines as a potential natural alternative in migraine relief because of its efficiency and positive benefits. Even if you do not regularly experience migraines, CBD can have positive impacts on your overall health. Customers report better sleep, increased daytime alertness, and better mood. Hemp Bombs carries a diverse product line for anyone looking to incorporate this “miracle compound” into their daily routine. Learn how to find the right product for you with a fun blog post about CBD and Zodiac signs.